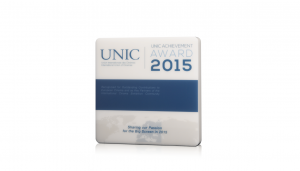 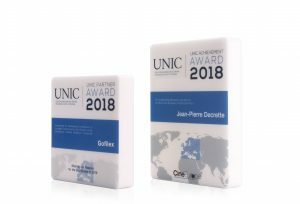 This tablet was created as a UNIC Achievement Award. White acrylic tablet with a professional and defined branding. An exemplar example of a simple acrylic tablet made to look exceptional.